The staff was great, very pleasant and friendly people also the restaurant was very good! Air conditioning in the bungalow. No dogs allowed on the beach. Silence, close to sandy beach, helpful staff(especially on The Beach :) ) everything I need to rest. Das Essen auf dem Campingplatz war superlecker und sehr reichlich. Wunderbar frischer Fisch und Meeresfrüchte und das Personal total nett. Die Lage des Zeltplatzes ist wunderbar. Direkter Zugang zum Strand und sehr gute Restaurants in Laufnähe. Das Restaurant am Zeltplatz haben wir nicht ausprobiert. Die Anlage selber ist auch sehr gepflegt und das Personal immer hilfsbereit. Das Zelt war auch in einem sehr guten Zustand, sehr sauber und ordentlich gehalten. Wir kommen gern wieder! Lokalizacja, cena, obsługa, dostępne leżaki i parasole w cenie. La vicinanza alla spiaggia, la spiaggia, il parcheggio all'interno della struttura. Nelle vicinanze buona gelateria e buona pizzeria. Piccolo supermercato nelle vicinanze. Wij hadden een ‘safaritent’. Een prima verblijf met goede bedden en een eigen badkamer. 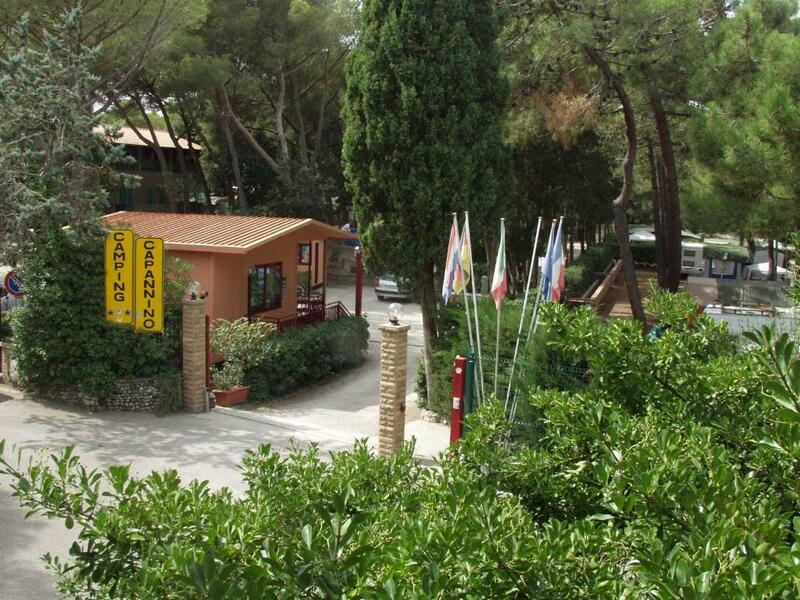 Set along the seaside in Marina di Bibbona, Il Capannino Camping features a restaurant and children’s playground. The bungalows are located beneath a pinewood forest by a free and private sandy beach. The bungalows each have a patio with outdoor furniture. The interior includes a fully equipped kitchenette, private bathroom, and seating area. 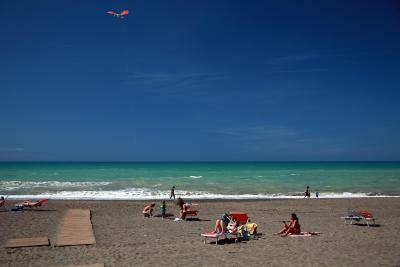 In summer, each bungalow is assigned 1 parasol, 1 deck chair and sun lounger at the beach. Wi-Fi is free in public areas. There are a mini-market and bar on site, and guests can also enjoy a games room. 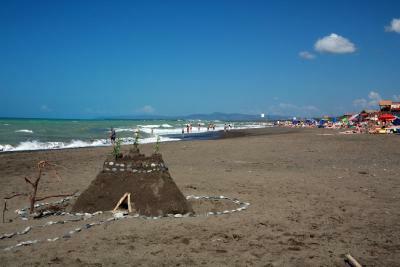 Cecina is a 15-minute drive from the property, while Piombino is a 45-minute drive away. When would you like to stay at Il Capannino Camping? 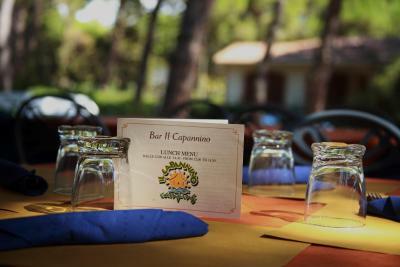 House Rules Il Capannino Camping takes special requests – add in the next step! ATM card Il Capannino Camping accepts these cards and reserves the right to temporarily hold an amount prior to arrival. Il Capannino Camping accepts these cards and reserves the right to temporarily hold an amount prior to arrival. Please inform Il Capannino Camping of your expected arrival time in advance. You can use the Special Requests box when booking, or contact the property directly using the contact details in your confirmation. There could have been a Space dedicated to teen agers. Too many dogs in the residential area in the pine forest, constantly barking, night and day, very difficult to sleep. the bungalow quite old.